My LEGO club issues a challenge for each meeting, a word or phrase for which we each build a small vignette. The challenge for September was What I Did Over My Summer Vacation. 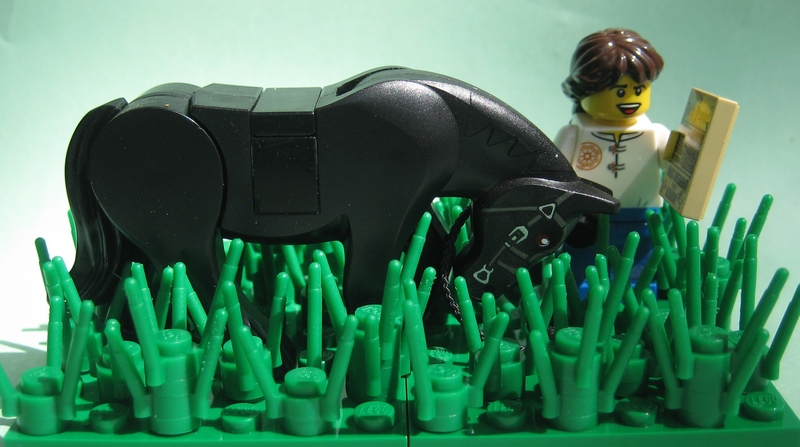 Betcha never thought I could get this much mileage out of LEGO bricks & horses. Way cool! Who’d have thought you could do so much with LEGO?